With more and more coverage in the news about Pensioner’s Bonds, many are wondering if they should jump to take advantage of the scheme before it’s too late. There is no short answer to that question, but if you are seeking an investment that will guarantee returns with practically no risk to your money, you should investigate these bonds thoroughly. Here’s a list of what you need to know before you contact National Savings and Investments to start investing your cash. These bonds are known better by the clever name, Pensioner Bonds, denoting their targeted beneficiary, but the actual name of the program is the “65+ Guaranteed Growth Bonds”. They are available in one-year and three-year options with the interest paid at maturity. The simple answer to the question of qualification is that if you are not in the 65 and over category you do not qualify. Due to the popularity of the program, there have been accounts of adult children purchasing these through their pension aged parents; however, there are risks associated with this strategy. Investing rashly can leave you a victim to the laws of unintended consequences in the forms of additional taxes and any number of legal issues. You’ve been warned. Pensioner Bonds are available in both one-year and three-year options. The one-year pays 2.8% at maturity, and the three-year pays 4% annually, but interest is not accessible for withdrawal. Application is simple and only requires a form available through the National Savings and Investments (NS&I) on their website www.nsandi.com/65-guaranteed-growth-bonds. Be aware that there are disreputable sites claiming to offer pensioner bonds and they are fraudulent. The bonds are only available through the NS&I via website or phone. 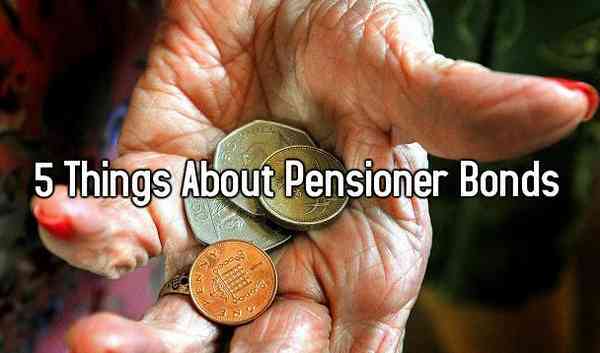 The reason for successful sales of the highly lauded pensioner bond is the rate of return. Currently, because banks are flush with government funds, they are not offering favorable rates to save your money rather than spend it. When banks need to use your money for investment purposes, they pay you interest for the right to use the money at their discretion. Not all banks have ceased offering favourable rates on savings funds. Many banks with higher savings rates still aren’t as high as these pensioner bonds currently available. Even with lower interest rates, traditional savings accounts offer easier access to your funds in times of distress, you must know that you can live without these funds for one to three years as cash saved in pensioner bonds will not be accessible until they have reach maturity. Investment in pensioner bonds will open savers up to taxes on interest earned. This tax stipulation will result in lower annual earnings than advertised unless you are a non-taxpayer in which case you will submit forms to reclaim taxes on interest you have overpaid. You will be paying the tax assessment prior to fund maturity so be aware of this debt beforehand when making the choice of whether you d like to choose a tax-free option like cash ISAs or Premium Bonds.